Order your own copy of the Imperial Royal Guards Unit Expansion at your local retailer or online through our website today! Join us today as we get a look at what the Imperial Royal Guards are truly capable of. The Imperial Royal Guards are the most skilled warriors the Empire has to offer. Out of millions of soldiers, only they have met rigorous standards for strength, intelligence, and loyalty. 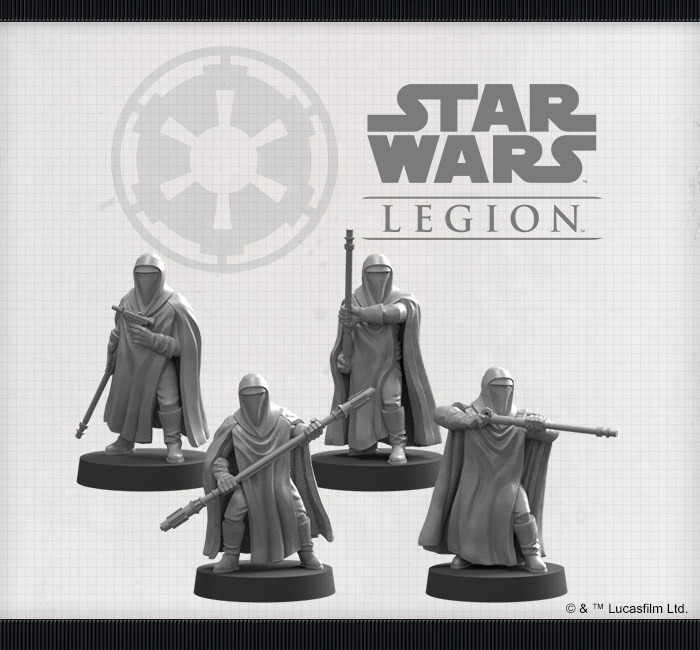 As such, you can expect the Royal Guards to excel in every phase of a Star Wars: Legion battle, especially when it comes to protecting other units or objectives. 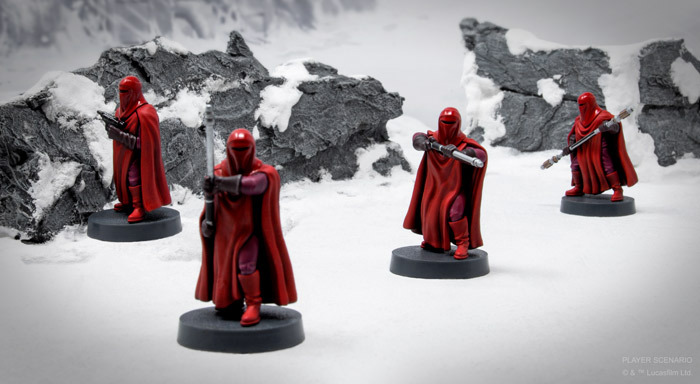 For 75 points, a standard unit of three Imperial Royal Guards gives you a special forces unit that can lock down entire sections of the battlefield, repelling anything that comes too close. Each member of this unit rolls two black dice with their EC-17 Hold-out Blasters, matching the Scout Troopers in terms of sheer firepower. But the Imperial Royal Guards truly set themselves apart in melee combat. Trained in multiple forms of martial arts, they are experts with their force pikes and replace one of the EC-17’s black dice with an even more lethal red die when attacking with these weapons. 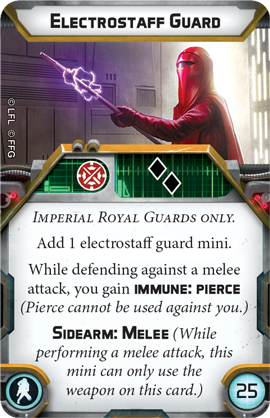 More importantly, as the first non-unique unit to feature the Charge keyword, the Imperial Royal Guards can quickly respond to any threats that come too close, rapidly moving to meet these units and immediately performing a melee attack. While three miniatures is slightly smaller than a typical unit, the advanced training of the Imperial Royal Guards makes them more than a match for enemy units with superior numbers. If you still want a bit more out of them, however, an Electrostaff Guard provides additional strength to melee attacks, among other benefits. Although this miniature can only contribute its two black attack dice to a melee attack, it also makes the entire unit immune to Pierce from melee attacks, perfect for avoiding any swipes from lightsabers. Even more remarkably, members of the Royal Guard are surprisingly hearty, despite wearing minimal armor. In addition to rolling the same red defense dice as most other Imperial units, each Royal Guard miniature has a wound threshold of two, making them even more difficult to remove from the field. 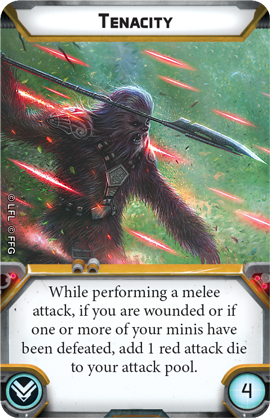 This is particularly useful when exercising their Guardian 2 keyword to cancel damage from ranged attacks against friendly troopers, allowing them to potentially take a wound for another unit without losing one of their own miniatures. It takes more to become a member of the Imperial Royal Guard than considerable combat skills, of course. Those who seek to become part of the Emperor’s personal entourage must exhibit great resolve, even in the face of adversity. Thanks to this great Discipline, the Imperial Royal Guards may remove up to two suppression tokens when they are issued an order. This gives them the unique ability to make use of the improved cover provided by suppression tokens, then remove them when they’re ready to spring into action. Despite their many inherent skills, there are still ways for the Imperial Royal Guards to improve. Indeed, one of their greatest strengths is their ability to adapt to new situations. 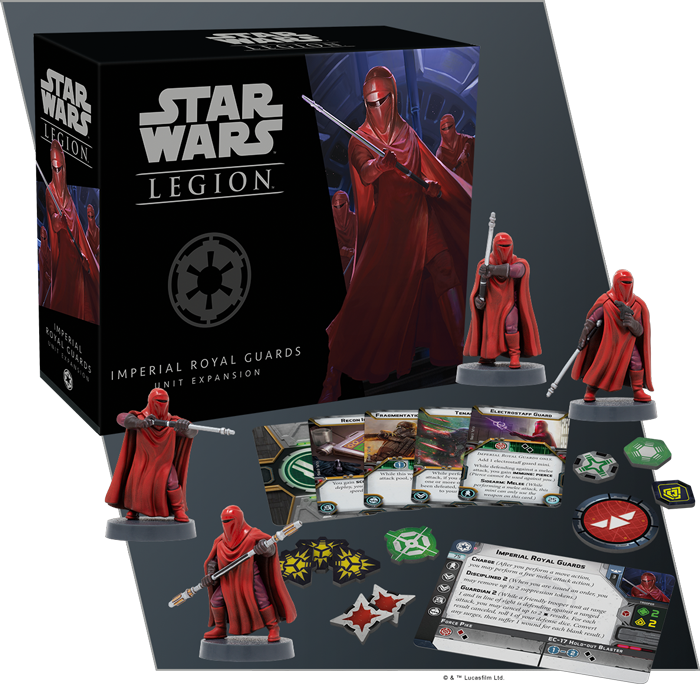 With two training upgrade slots, the Imperial Royal Guards are an extremely flexible unit whose innate abilities can be augmented in a number of ways. For example, it’s not uncommon for Royal Guards to put themselves in harm’s way to protect another unit. Displaying such Tenacity can actually help them eliminate a threat, granting them a little extra power when they perform a melee attack after they've taken some hits. 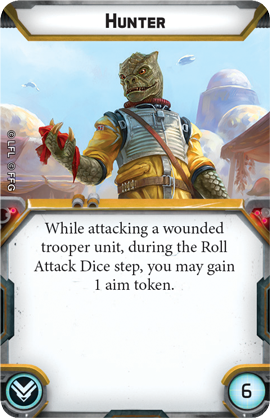 Similarly, the Royal Guards are prepared to hunt down any who would threaten the Emperor, and the Hunter upgrade pairs well with Tenacity, granting them an aim token while attacking a wounded trooper unit. Silently following the Emperor wherever he goes, Imperial Royal Guards refuse to put their skills on display until a true threat presents itself. Bring these vigilant defenders to your games of Star Wars: Legion to see what they can really do! 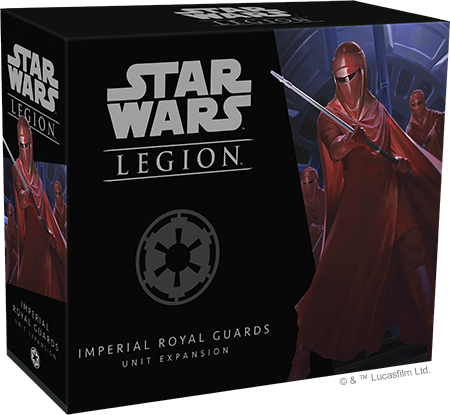 Look for the Imperial Royal Guards Unit Expansion (SWL23) to release alongside the Emperor Palpatine Commander Expansion (SWL22) in the fourth quarter of 2018! You can pre-order your copy at your local retailer or online through our webstore today!